Cindy Garrett, right, recent retired Director of Technology from the Fulton City School District, was inducted into the Fulton Sunrise Rotary Club. 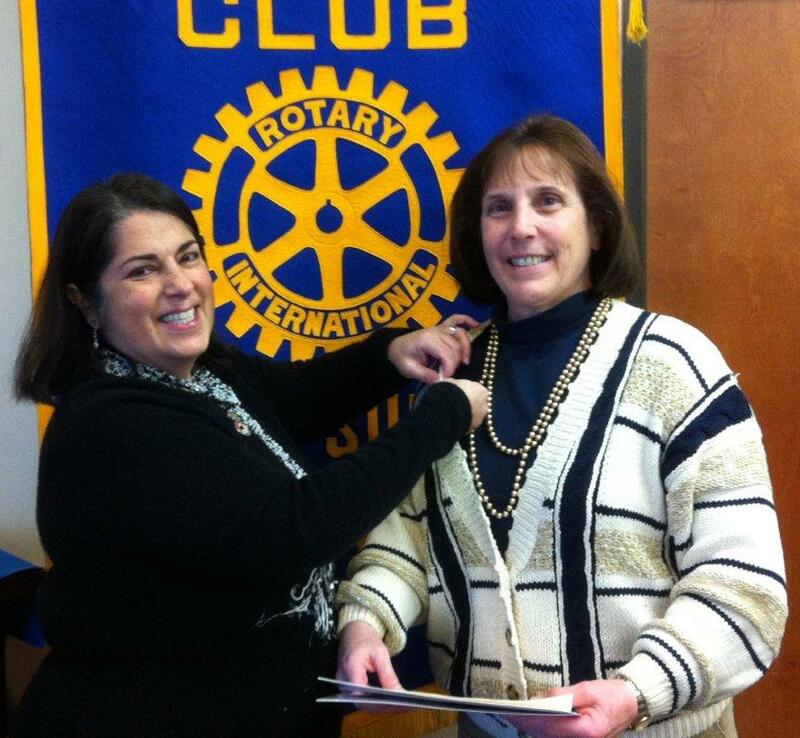 Shown doing the honors is President Peggy Donnelly. The Fulton Sunrise Rotary meets every Friday at 7 AM at Fulton's Riverside Inn. 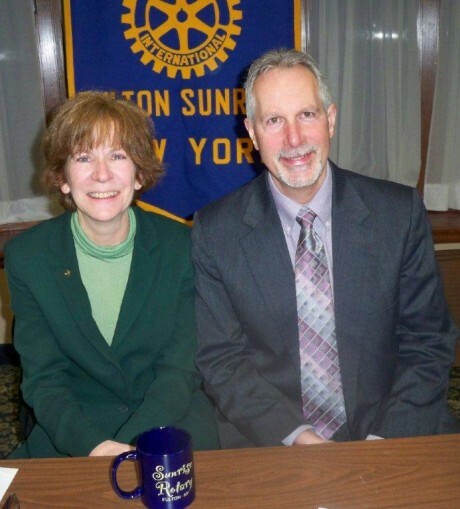 New Sunrise Rotarian, Betty Maute, Director of the Fulton Public Library, was the speaker at a recent Sunrise Rotary meeting. Betty spoke about the many resources and programs that the library offers to the community. Pictured with Betty is Rotarian Ed Garrow. The Fulton Sunrise Rotary meets every Friday at 7 Am at Fulton's Riverside Inn.